The NBA introduced a cool new feature to the warm-ups at this year’s All-Star game. 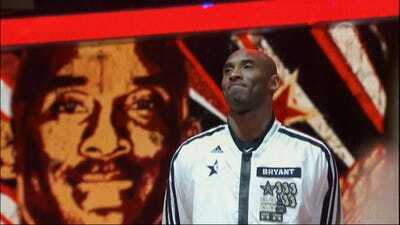 Each player essentially had their NBA “resume” listed on their jacket in the form of patches (see Kobe Bryant below). In addition to a large star with that player’s number of All-Star appearances, they were also given a patch for various achievements, such as NBA championships, MVP awards, rookie of the year award, and All-Star game MVP Awards. This got us thinking: What would Michael Jordan’s warm-up jacket have looked like if he was in this year’s All-Star game?